Sport & athletic shirts are a growing part of the t-shirt market. They are popular not only for team sports and workout clothing, but also for modern, every-day wear. The sleek feel of polyester and wrinkle-resistant qualities make it highly desirable for casual wear. There are many brands offering athletic moisture-wicking shirts, one in particular is offering a great product at a great price. 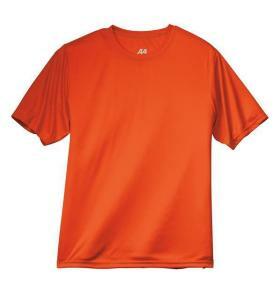 A4 has created the N3142 as a great option for a short-sleeve, cooling performance crew. 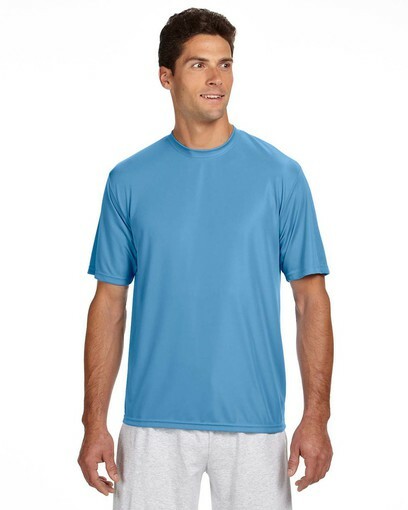 At 4 oz., it’s lightweight and sleek with an ultra-tight knit that resists snagging and is sturdy for active lifestyles. It’s a stain resistant polyester interlock – feels great on skin and is perfectly weighted for running, lifting or any other physical activity you might have in mind. Great for sports teams, workout & cardio wear, or just for casual wear especially in warmer climates! These shirts stay cool during the warmest weather. The fit of the shirt is modern and flattering to the wearer. The NW3201 (Ladies’ fit) features tapered sides for a slimming look. PLEASE NOTE that these shirts run big. For instance, the author typically wears medium and sometime large for t-shirt purposes. With the A4, the small sizing was perfect and comparable to common medium sizing. It may be wise to order a size down. Products a4, athletic, moisture-wicking, n3142, shirts, workout. permalink. Do you guys ship these internationally?? Thanks for asking, we ship only to U.S. and Canada.